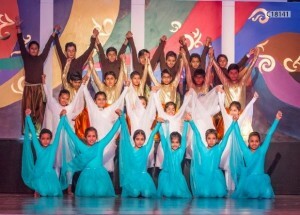 Vivid colours, varied expressions and different forms of performing arts were the highlights of the Form Evening of classes 4 and 5. “Navras – Ek Anubhuti” was a production based on the Nine Human emotions expressed so wonderfully by the students. 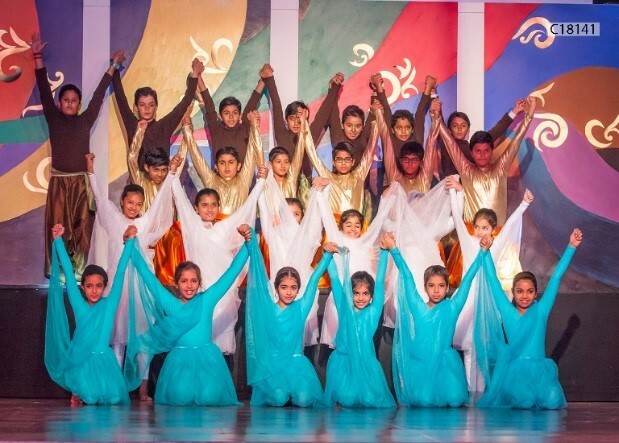 On one side there were power packed performances in classical dance forms like Shiv Tandav, victory of good over evil in Durga Dance, the grace and grief in Sati Dance and on the other side, the children expressed the joy of the folklore in Mela Dance. The Fusion of various elements of Earth, Fire, Water and Air was a visual treat in the form of a Contemporary Dance. It was a surprise for the spectators to see such young children bringing to life the emotions of “Idgah”, a story by Munshi Prem Chand. 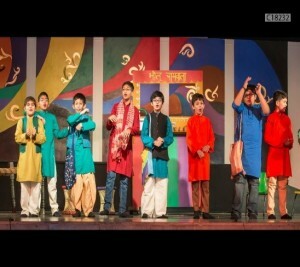 The serious issues dealt in the play did create a somber effect whereas the “Hasya Kavi Sammelan” had the audience in splits. Sufi music and the Classical Tarana by the singers mesmerized one and all.